There’s no shortage of hotels in the capital city. Between Holiday Inn, all the various iterations of Marriott, Best Western and Comfort Inn, it should never be too hard to find a place to crash for a weekend. But let’s be honest – if you’ve been to one chain hotel, you’ve been to them all. It tends to be a pretty predictable, cookie-cutter experience. Not that there’s anything wrong with that. A new place in town aims to provide a unique, upscale experience that’s sure to change your perception of staying at hotels altogether. 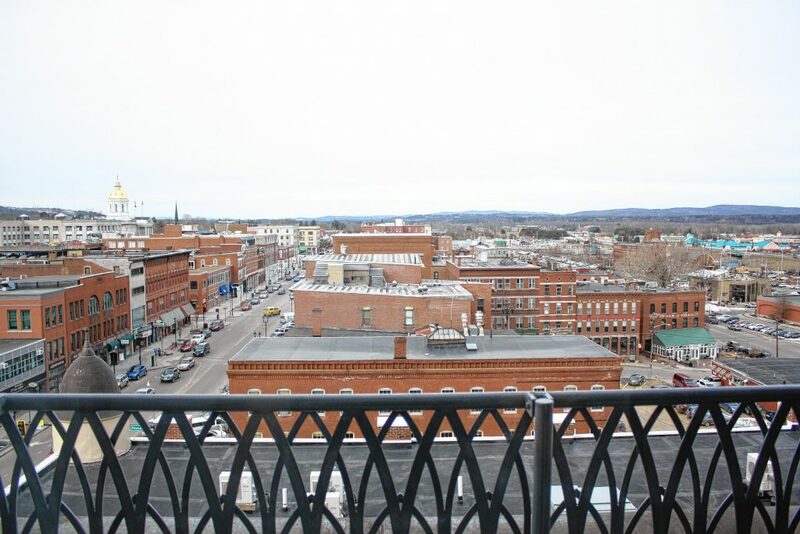 The Hotel Concord, right in the heart of downtown, opened its first floor of rooms last summer. The rest of the rooms were opened on New Year’s Eve, and we got a chance to stop in for the first time last week to check the place out. The Hotel Concord is a luxury boutique hotel, and it’s the only one. 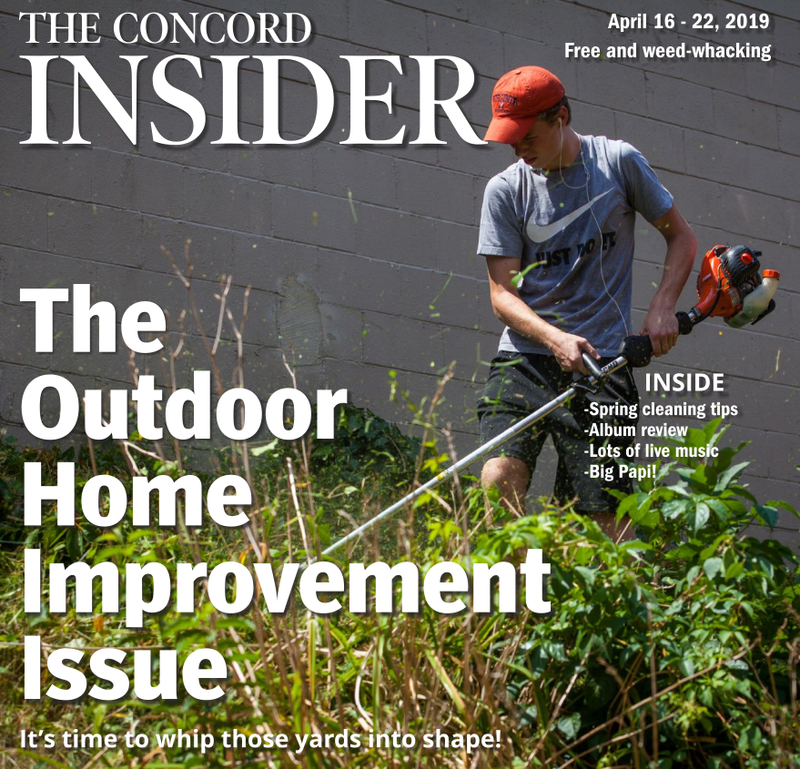 Unlike franchise businesses like Holiday Inn and Comfort Inn, The Hotel Concord is a maverick, meaning it can do whatever it wants without being beholden to some corporate overlord. The result is 38 unique rooms, most providing stunning views of downtown that you can’t get anywhere else. The hotel takes up residence in the Capital Commons building. 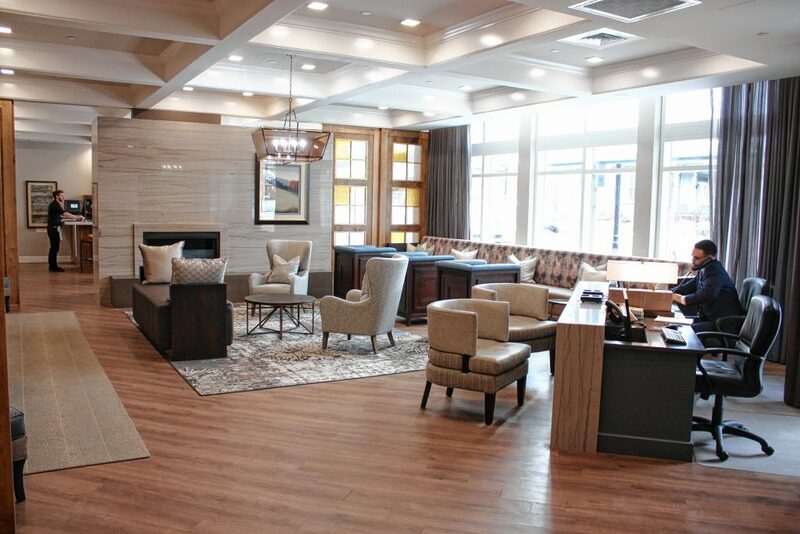 General Manager Sue O’Donnell said The Hotel Concord is the only hotel in the city that lives in a mixed-use building – other businesses in the building include Goodwin Hospitality & Associates, Granite Health, McLane Middleton, New Hampshire Realtors and, notably, O Steaks & Seafood and Red River Theatres (more on this soon). 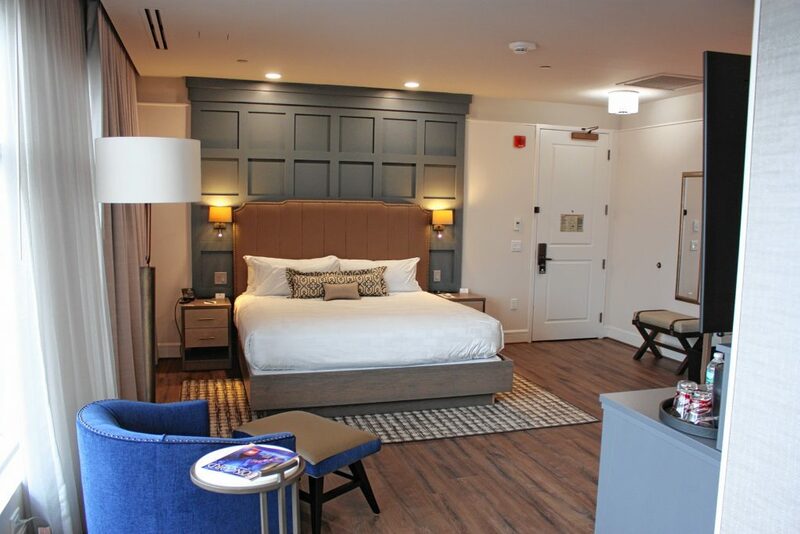 The hotel rooms are on floors four and six – the fourth floor, opened Aug. 29, has 21 rooms including three connecting rooms, and the sixth floor has 17 rooms, 10 of which will have walk-out patio access and patio furniture once the weather warms up. The ground floor features a lobby that’s open to the public – feel free to stop in and check the place out, or even have coffee with a friend. Just beyond the main lobby is the bar/cafe called The Lobbyist. The bar is run and staffed by O’s, which has a door leading right from O’s bar to The Lobbyist. This bar is also open to the public from 4 to 10 p.m. daily. You can think of it as an extension of O’s – if you prefer a quieter atmosphere than that of O’s, The Lobbyist is a nice alternative. If you don’t feel like leaving your room but you still want some of that fine cuisine, you can order room service, which is also handled by O’s. Once you’ve taken in the lobby and checked out The Lobbyist, you’ll want to check out your room. There’s quite a variety when it comes to what type of room you want. Again, this isn’t Motel 8, so you really have some options to browse when you’re planning your stay. Each floor features two of what they call bullnose rooms. These rooms are on the rounded, bullnose-shaped portion of the building, which offers essentially a whole corner of glass to provide unobstructed views in multiple directions. There is also a pair of rooms on each floor that are behind their own set of closed doors – you open a set of double doors to reveal two separate doors, each one an entrance to a separate room. 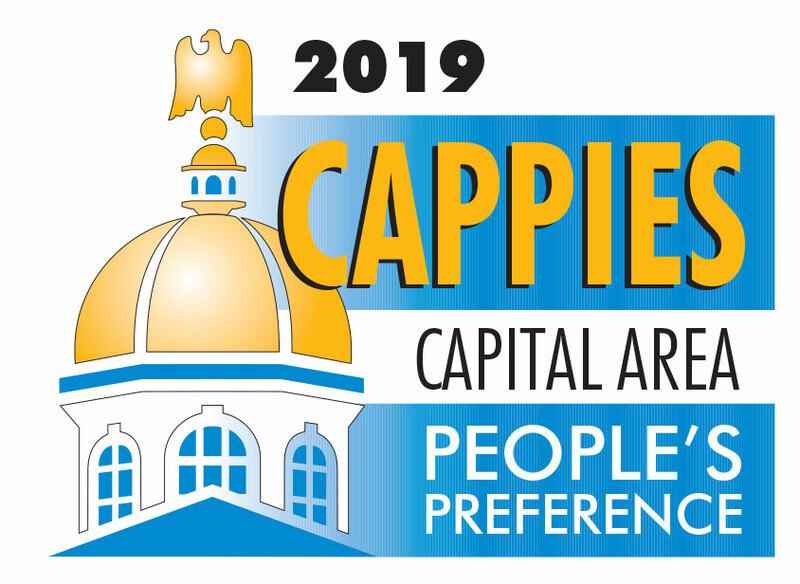 These rooms are perfect for candidates in town for the primaries, or families who want a little privacy and the ability to mingle in each other’s rooms freely. All rooms are equipped with king or double queen beds, California-style closets, Amazon Echo dots, 55- to 65-inch TVs, high-speed internet, original artwork, Keurig coffee machines, refrigerators, safes and luxurious bathrooms. 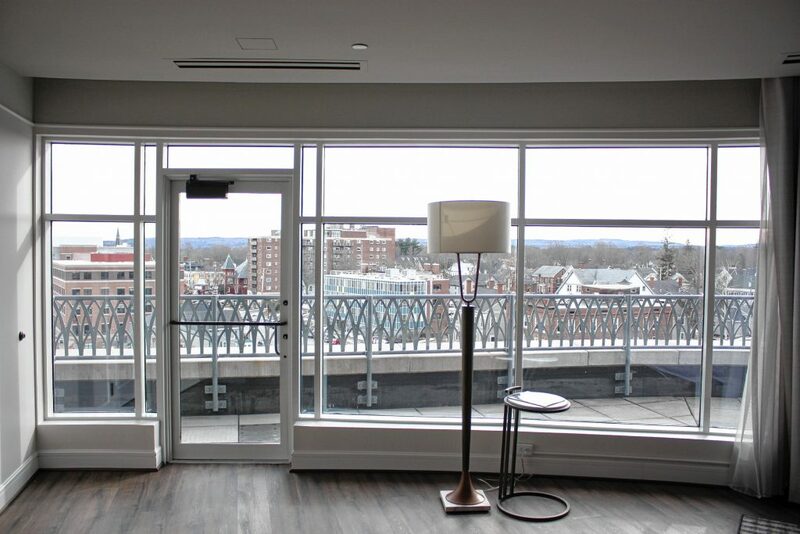 Ten rooms on the sixth floor have patio access – these haven’t been made accessible to guests yet due to the cold weather and snow, but they should be open by the spring, with patio furniture expected by May, O’Donnell said. The fourth and sixth floors each have an executive lounge where guests can work on projects together or just hang out. 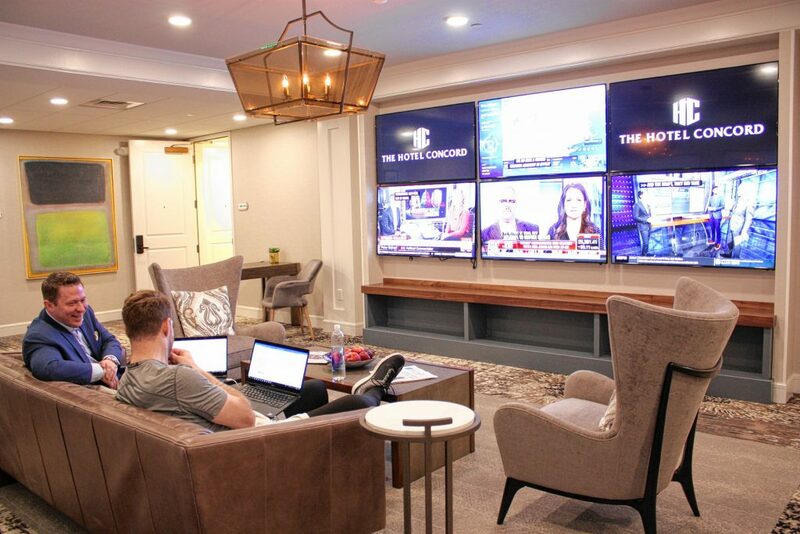 One lounge is equipped with a wall of TVs, while the other is intended more for quiet study and has none. Last week, Trevor Strauss of Atlanta and Kyle Knox of Saratoga Springs, N.Y., were doing some work in the TV lounge. Even though the hotel is still pretty new, these guys were already almost regulars here. Another bonus of staying at The Hotel Concord is its affiliation with Red River Theatres. You can access the theater directly from the building – there are plenty of signs in the hotel hallways directing you to Red River. On top of that, the hotel also provides a free bag of popcorn for each night of your stay. They’ll give you a special The Hotel Concord bag, so you can look fancier than everyone else in the theater while you take in a quality flick. Another staple of any quality hotel is its gym. While many hotel gyms consist of a treadmill or two and maybe a set of dumbbells, the gym here actually resembles a real gym. The gym features brand-new ellipticals, treadmills, stationary bikes, workout benches, exercise balls and plenty of freeweights. There are also big TVs, and the stationary machines have built-in screens that can be synced up to your Netflix account so you can watch a show while logging a few miles. If you have a lot of work to get done, there are plenty of accommodations at The Hotel Concord. 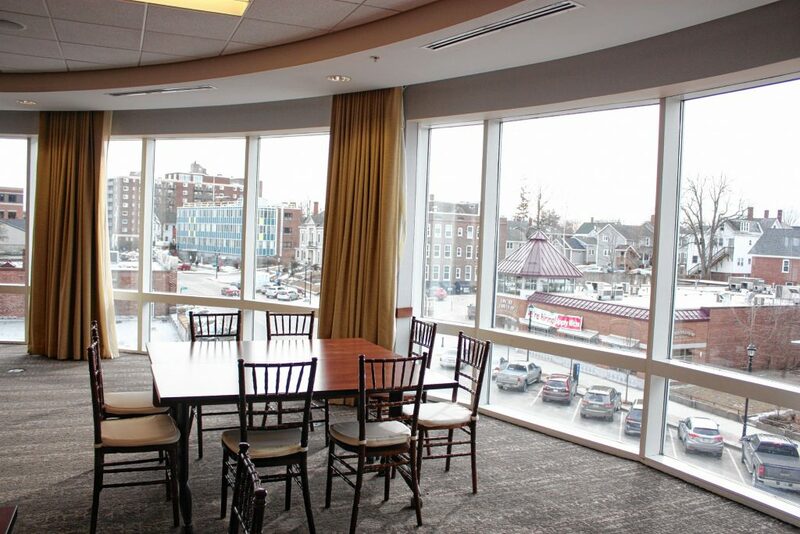 There are two large meeting rooms – The Concord Room and the New Hampshire Room. The Concord Room fits 50 people seated or 85 for a reception-style event, and The New Hampshire Room can hold 150 seated or 225 for a reception. These meeting rooms are equipped with projectors and screens for giving presentations. There are also two smaller meeting rooms for four or six people that are brand new – as of last week they had still never been used. In fact, the hotel is still looking for names for them – we suggested one be called The Concord Insider Room. We’ll see what ever becomes of that. By now you’re probably wondering about prices. That’s where it gets tricky – since all the rooms are different, with different options and sizes, prices vary from room to room. Rates also fluctuate based on the time of year – this is true of virtually all hotels. To book a stay, see more photos or to learn more, go to hotelconcordnh.com.